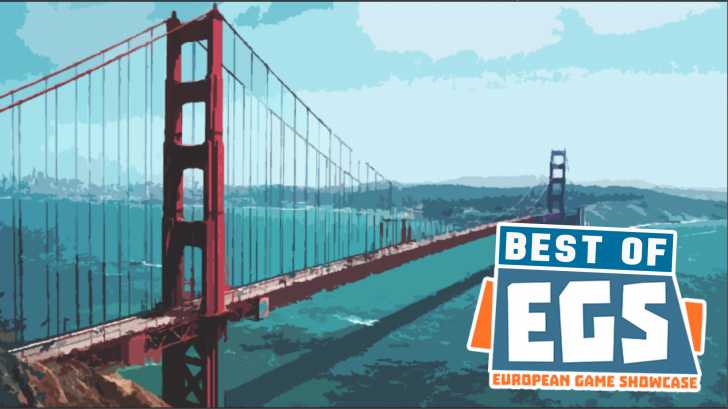 While the big boys were out showing their latest AAA-budget titles at GDC’s Expo, I walked along the pier to the Swissnex building where a selection of European Indie titles wanted to show their efforts to journalists, influencers & potential publishers. I’ll start off with one from my own country, Belgium. The Almost Gone is a mobile/PC game made by Happy Volcano and while it has been in development for quite some time (starting its life as “Winter” and even winning the Best Mobile award at the Belgian Game Awards back in 2016) I never actually got around to playing it myself. Immediately striking is the clean presentation. 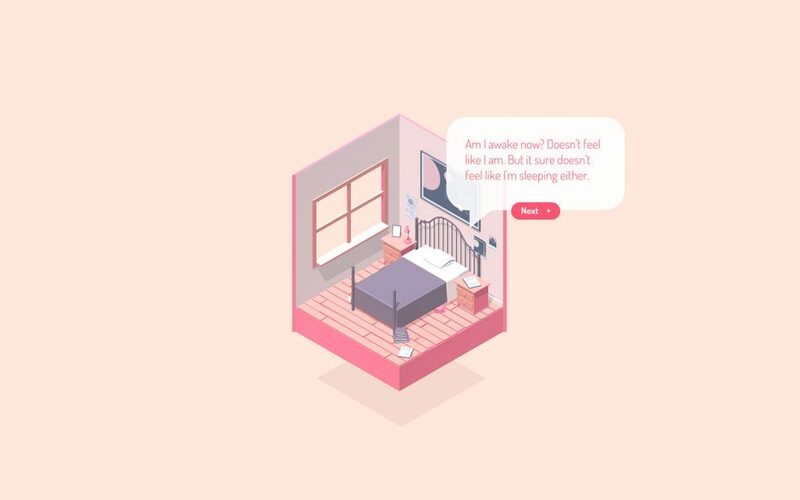 You navigate around different rooms looking in from an isometric perspective. Moving from one room to the next feels satisfying and you can swivel them around to inspect them from different angles. I only played through the first scene but the goal seems to be the same: you inspect everything by poking at it, get a bit of background story each time and successfully solving puzzles gets you items that progress you further into the plot. In the first level, I had to unlock a secret compartment in a globe that showed the different star signs. Clues scattered around the rooms will tell you which ones to activate. It’s a concept that lends itself perfectly to mobile titles and I can easily see myself enjoying these in small burst, solving one puzzle at a time. One could easily be mistaken when walking by and seeing someone play this and think they are enjoying a game of Hearthstone. 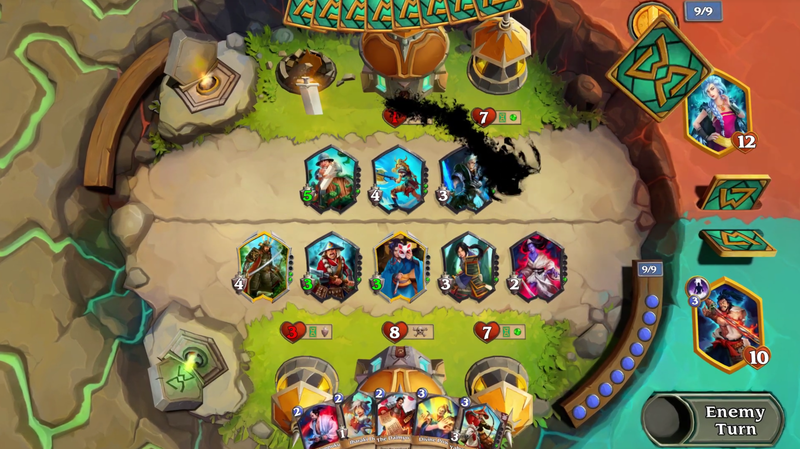 While the game shares a lot of visual elements with the world-famous trading card game by Blizzard, it does try to do a few unique things that set it apart. Instead of attacking the opponent’s Hero, you’re going after their 3 buildings. Each has a set amount of health: 7/8/7. Successfully damaging them grants you specific bonuses like your opponent having to sacrifice a creature, you drawing a card etc. You start the game with the full amount of (at least in the build I got to test) and play creatures and spells to impact the board. Creatures have a set power, but no health. Instead, they have durability: you can only attack or block with them for a set amount of times. You can’t attack the opponent’s board either, you choose from among your own army which ones will be attacking and then pick the towers or main castle. The opponent can then choose which creatures will be blocking. All these actions always happen as a whole: powers get added up and compared, the remaining damage trampling through to your original target. To spice things up you can also bring in your hero, he can attack right away but you risk the opponent damaging him/her and it’s also game over when your hero is pushing daisies. 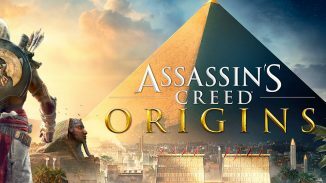 Overall the game played nicely and offered enough new ideas that I’m intrigued to play the full release. Especially so because the AI didn’t put up much of a fight. Playing against friends and online opponents seems like it could be a real strategical treat. One to watch! 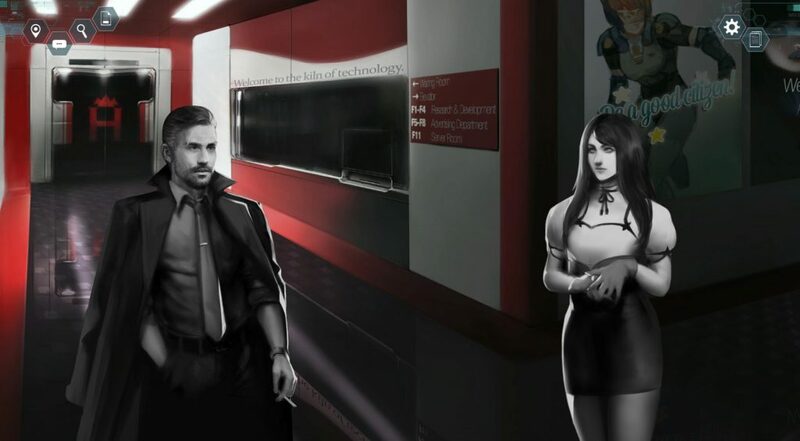 The way the story is told and how the characters look like pen & paper drawings reminded me a lot of the DS classic Hotel Dusk. An indie favourite of mine from a few years back. The futuristic setting plays an extra strong role here though, with a hologram tool that allows you to show what the crime scenes looked like before the police came to clean everything up. It also has the branching paths that Telltale games’ adventures came to be known for; fewer of them seem to be here but with a seemingly larger impact; will you hang up on your partner while video chatting with her to save her from seeing the gruesome murder scene that might bring back traumatizing memories for her or do you keep her on the phone so she can offer you valuable insights to solve the crime faster? I’m definitely going to request a review copy for this one. Moving on we have perhaps one of the weirdest titles on offer at the show, but delightfully so. 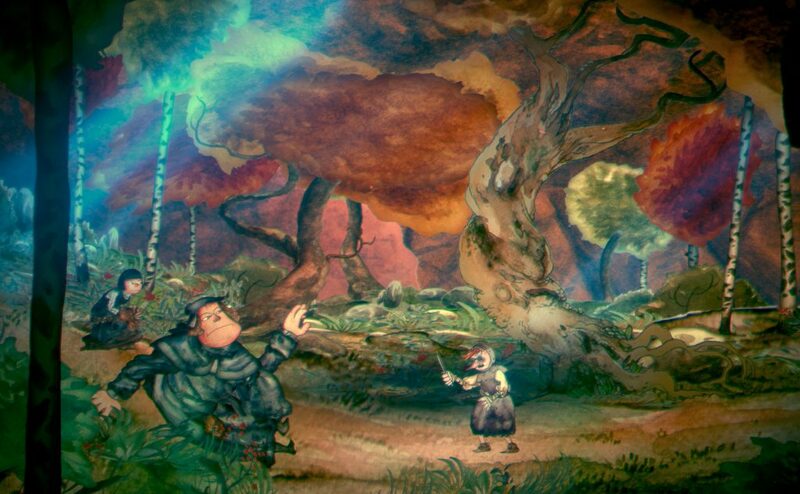 King of Peasants is an adventure with gorgeous watercolours backdrops set in medieval times. You play as a Lethal Weapon-like duo of knights that encounter all kinds of wacky situations. The characters themselves are flat, pencil-drawn sprites with a satire-like appeal to them. They contrast somewhat to the background, but the game revels in this. Even the music feels out of place with synthesizer beats to accompany your trek across the landscapes of olden times. The combat may also surprise you, with its funky right-out-of-Dance-Dance-Revolution rhythm gameplay. The world needs more games like this. Daring to be bold to the entertainment of the unsuspecting audience, but it’ll have to take careful consideration that all the different ingredients don’t end up spoiling the soup. This game. You HAVE to play this game. Its tagline “The golf game for people who hate golf” says it all: it does away with pretty much all the preconceptions you have about golf. From the get-go, you’ll find out that while the “rules” still apply, if you condense them into “get X into Y in as few hits as possible”, all other elements have been thrown out the window. 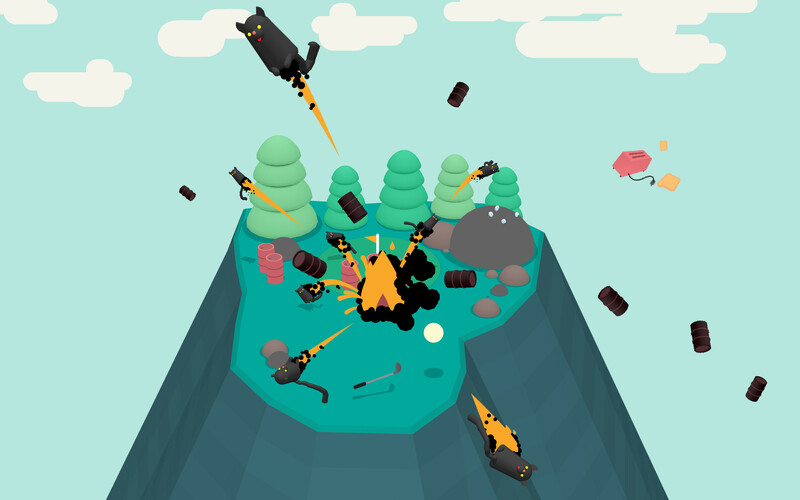 The random nature of each level and the element of surprise make for a really addictive game. It’s simply impossible to put down. Your curiosity WILL get the better of you and without a doubt, you’ll find yourself beating most, if not all, of the game in one sitting if time is of no constraint. This is the kind of stuff that tops the mobile app store for months on end, believe you me! I didn’t have time to play all the games, but I did look over the shoulder of other people having a go at them and there are certainly a few other indie gems in the making. First up: Letters – A Written Adventure. This seemed to be peak indie: a charming game with an interesting gameplay mechanic that makes you go “aha!” all the time (and everyone likes to feel smart). You play around with words in new and constantly evolving ways. Copying them from one file into another or using them to perform certain actions that move the game along. All with a lovely visual style that’ll make you thirsty because it’s so sweet. Lastly, we have another Belgian Title, one that I still haven’t given the proper time to play/explore myself but only because its core gameplay doesn’t speak to me as a gamer. Flotsam has style in spades; loveable characters survive on floating junk towns in a world that has flooded over. The concept is fantastic, with the player having to use only what’s floating around as resources to both expand the town and keep its inhabitants alive and well. Sadly, this kind of game just doesn’t fit my personal fancy as my Aven Colony review proves, but I seem to be the sole exception as the game keeps racking in awards, most recently the Most Promising Game at the Belgian Game Awards. I’ll refrain from reviewing the game for that reason, but I do applaud the efforts and I’m sure they’ll find an eager audience willing to prove me wrong about my poor taste in videogames. 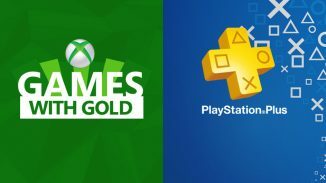 Games With Gold Vs. PlayStation Plus: June 2016 – Which Lineup Is Better? 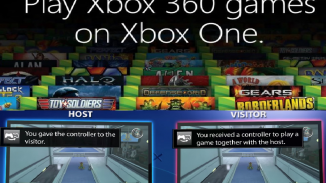 Share Play Vs. Backwards Compatibility: Which Is The Best Post Console Release Feature?